Please put your bins out as normal and we'll do our best to empty them, provided it is safe for us to do so. If the roads become too snowy or icy for vehicle access, updates will be posted on the homepage of our website and on our Bins and Recyling page. Why we can't empty bins in icy/snowy weather? We do all we can to empty your bin/s during snowy and icy weather, but we also have to be mindful of the safety of local people, our drivers, our crews, our vehicles, and cars parked on streets. Our trucks are very heavy, particularly when they have a full load, and we need to be sure that they will not slip or slide, or cause damage to parked vehicles, buildings or pedestrians before we move into a street. The decision on whether or not it is safe for our vehicles to drive in certain areas or streets will be made by our drivers locally. If a driver decides that it is not safe to drive in a street, he/she will report this to their manager. This will then be relayed to our customer service team, so we can let any residents know when they call in for updates on 0345 002 0022. Staffordshire County Council are responsible for gritting the streets. You can find their interactive gritting route map on their website which also shows the location of grit bins. The decision to close a school is made by the Headteacher. Updates on school closures can be found on Staffordshire County Council's website where you can also sign up for alerts. For general information or to report an issue outside of office hours, this website is available 24/7. We also have an app that you can download onto your smartphone. For more information visit our council app page. Wates provide repairs for all our council houses. To report any issues please call Freephone 0800 1830044. This number is also for out-of-hours enquiries. Freezing cold weather can cause boiler condensate pipes to freeze which can prevent the boiler from functioning. You may be able to thaw frozen condensate pipes without having to log it as a repair by following the guidelines below. Once the pipe has thawed you should reset your boiler by holding in the reset button for 10 seconds and wait for the boiler to re-fire. If you cannot safely thaw the pipe, or it doesn’t solve the problem, please contact Wates on 0800 183 0044. Know your free emergency numbers. In a power cut dial 105 or for a gas emergency, dial 0800 111999. Prepare your home. Keep a torch handy and get your appliances serviced by a Gas Safe registered engineer to prevent carbon monoxide poisoning. Vulnerable households can get extra support by signing up to the Priority Services Register. 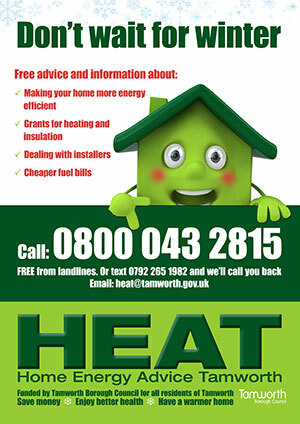 Contact your gas or electricity network to find out more. Visit www.energynetworks.org to find out who your network operator is. Keep your eyes open. Keep an eye on the weather forecast and, if you have a power cut or a gas emergency, check on your neighbours. Please check our flooding page for information. A range of winter weather advice is also available via the Staffordshire Prepared website.